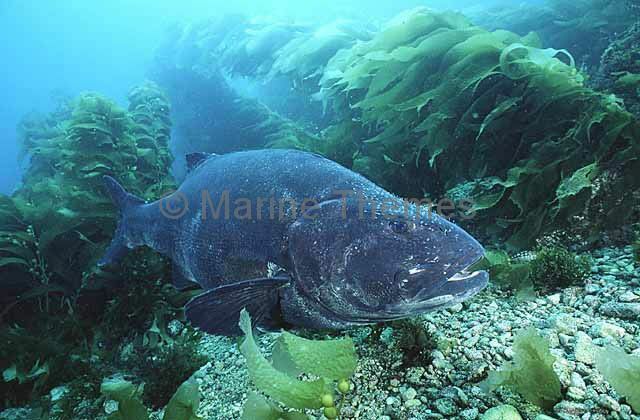 Giant Sea Bass (Stereolepis gigas) Rare protected species. 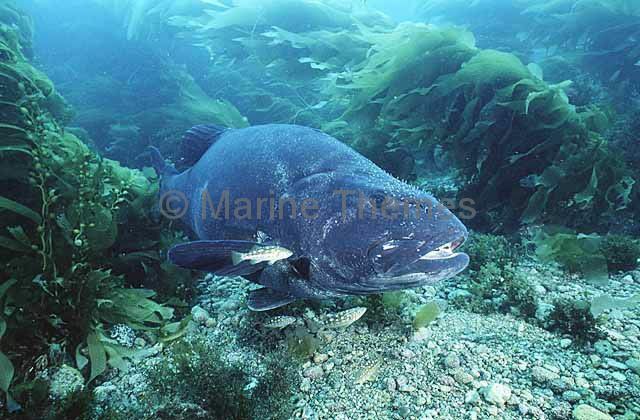 Lives to over 70 years. 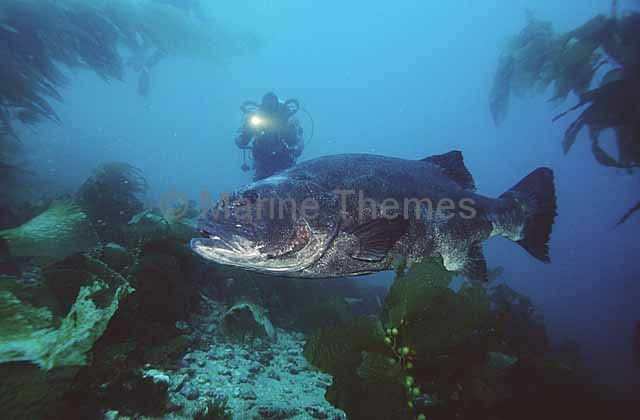 Giant Sea Bass (Stereolepis gigas) with in kelp forest with diver. 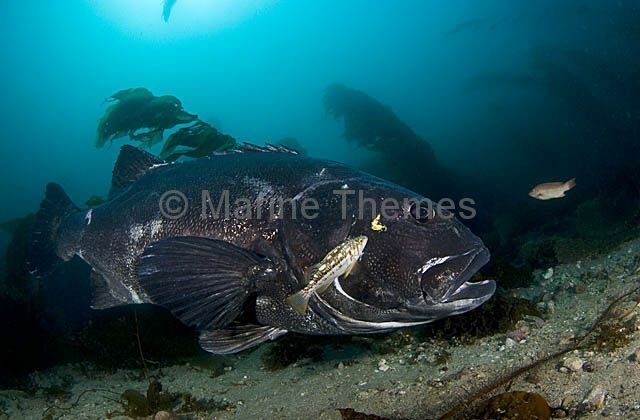 Giant Sea Bass (Stereolepis gigas) being cleaned by rockfish.